I recently came across an article about comfort and was intrigued by the parallel’s it has to both my personal purchasing behaviors and my professional responsibilities. We can all probably relate to purchase regret; a product that didn’t meet our expectations, a bad customer service call associated with a product, or simply learning of a friend that “got a better deal” as some examples of this regret. 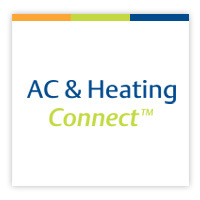 A recent Angie’s List article touts the benefits of two-stage air conditioning systems, mentioning the compressor as a standout feature that differentiates it from a standard, single stage cooling system. The article also explains the details of the energy savings and comfort benefits. It’s really good to see this message communicated in this popular consumer forum.